At around lunchtime on 24th June 2018, Sengo and its crew crossed through the Port Phillip Heads, (against a slight tide), and motored-sailed into Port Phillip Bay, Victoria. With that milestone we had officially ‘done the loop’ and completed our first Australian mainland circumnavigation. It has been four years since we got Aboard Sengo and in that time we have travelled from Sydney (July 2014), south to Melbourne (February 2015), then north to Airlie Beach (August 2015), then south to Brisbane (February 2016), and then north again around the top and back down the western and along the southern sides of this country. 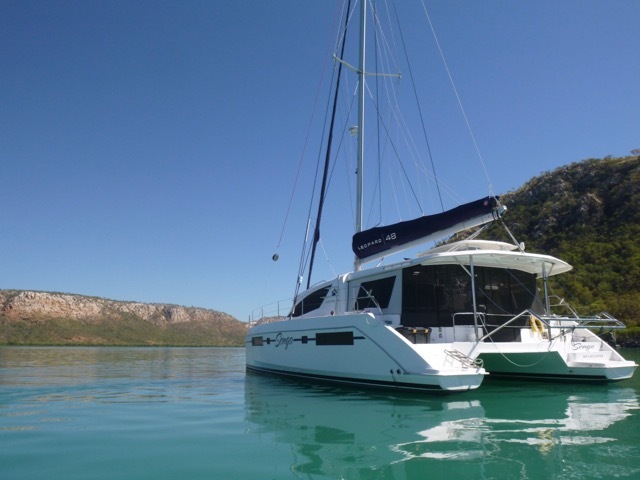 There was a six-month, 25,000 kilometre, road trip in the midst of this (mainly because we couldn’t live aboard in Cullen Bay Marina, Darwin over wet season), which, of course, held its own set of adventures and scenery. If you asked us what our favourite place was over the past four years (as many do) we couldn’t answer you. In some respects they are all good. The Kimberley was a highlight, a three month sojourn that wasn’t long enough, but we’ve generally found enjoyment and/or serenity just about everywhere we’ve been. Apart from the crowds, you also can’t beat the Whitsunday’s and nearby islands and island groups. And the smaller islands of the Great Barrier Reef we’ve visited have been wonderful. Further south the creeks amongst the background waters of Ku Ring Gai Chase National Park just north of Sydney are serene (even with the background traffic – although weekends are a bit busy for our liking). Yet, we also enjoyed the muddy croc infested waters anchored off ‘unremarkable’ Innisfail…. And so it goes…. Although we have completed a lap, so to speak, we definitely haven’t seen all of it. In fact we hardly saw anything of Western Australia, for after the Kimberley it was a rush to get south to avoid the strong south-west trade winds. We missed most of South Australia; after getting stuck in Ceduna for a time it was getting mighty cold and time to move on. The NSW coast was mostly missed on our initial journey north and we are looking forward to exploring some of its rivers when we get the time. Unless you have local knowledge and, more importantly, time, there are few places to anchor on Victoria’s east coast (although the scenery around Wilsons Promontory is inspiring and the Gippsland Lakes are very pleasant), and anchorages in the Northern Territory were mainly just taken to get to Darwin. Queensland is where we spent the majority of the time and saw the most but there is so much more to see. The upshot is that Australia is a ‘Mighty Big Island’ and even if we spend years cruising here we are unlikely to see all of it. (Below is a slideshow representation of some of the places we’ve stayed for the past four years. (the photos are in no particular order)). However, it isn’t only the scenery that needs to be experienced, it is the people – and we have met the most wonderful, generous, fabulous and usually (although not always) like-minded individuals. Every encounter holds memories and contact may only have been in one anchorage – or it may have been in several. The relationships built may have lasted only a few days, or a few weeks, or they are still ongoing after our four years of cruising. And not all relationships gathered have been boaties… we met some fantastic land-lubbers as well (although, admittedly, most of these are aspirant water babies). Love a bit of ‘Cross Border Rivalry’. Food: There are (quarantine) rules as to what food you can and can’t bring in to a State/Territory. Western Australia was particularly strict and our sojourn into the Kimberley meant we were on a tin food diet for the best part of three months! (Although I note that the restrictions were going to change on 1st June 2017 – as we had been gearing up to leave Darwin before this, I did not check the new regime – I have heard it is a little more relaxed). Boats: Boating rules/regulations and qualification requirements differ between jurisdictions and there is always the big question – do I put that lifejacket on – even to ride 50 meters to shore? (We do now, we are Victorian – the life jacket rules were always there, but we did get out of the habit for a while where it wasn’t law and nobody else was doing it – it is amazing (scaringly) how quickly you get into the herd mentality). 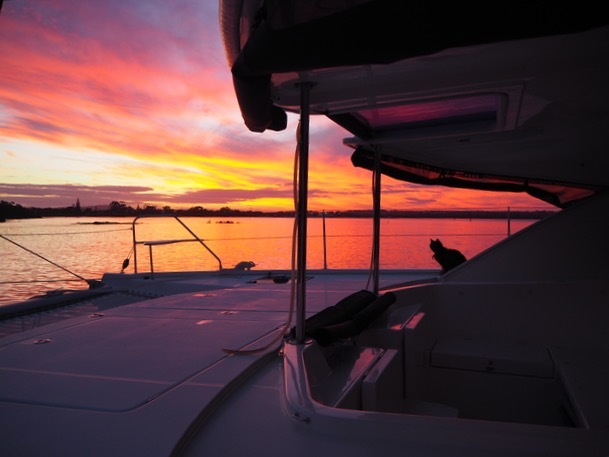 The requirement for safety equipment on boats and tenders is also varied. Indeed, even the definition of a tender, and where you can and can’t take it (distance from shore and the mother ship) it is a point of difference (and in many cases, contention). Fishing: Fishing rules also differ. 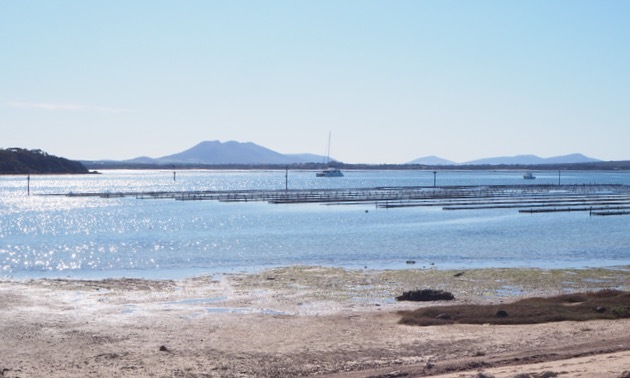 A fishing licence may mean you have the right to fish anywhere, just in specified locations, or that you can only fish using one method at a time (in South Australia, apparently, if you are line fishing you can’t have crab pots out at the same time). In Western Australia there is one licence for fishing from a boat, one for crayfishing and so on… (and the abalone season goes for about an hour each month!). Oh, and if you are crabbing, each state has different rules for the type of crab pot you can put out. At the end of our loop we have ended up with none; Andrew’s original crab pot (many years old) was not approved in Queensland, so we bought a Queensland approved version. The old pot got thrown out at Darwin and the Queensland version given away before we headed into WA – apparently you can be fined for just possessing the wrong equipment in that State. Having said that, the contact we had with PV Walcott, when we did meet them (a fisheries inspection vessel with a nasty reputation amongst yachties) was benign. Of course when we got to South Australia our original crab pot would have been fine! Of course, the journey hasn’t all been smooth sailing. We’ve had sick humans, sick cats, broken bits, and regular necessary maintenance to deal with – some of it in remote locations. What we have found though around the country are individuals and businesses willing to give that extra hand or go that extra mile with loving care when needed. Listed below are some of the contractors/businesses we’ve used over the past four years: outboard mechanics, marine electricians, vets, car hire mobs, marinas, chandleries, shipwrights, slipways, and an engineering shop. (Those highlighted in bold merit particular mention). On the odd occasion when in port we’ve hired a car – usually to get to places we can’t walk to or, if necessary, to get to the vet. Sometimes we hire a car just to go exploring if we know we will be around for a while, or in a location we are unlikely to visit again. To minimise the hit to the budget we find the cheapest cars we can, and search for second-hand car rentals (although we need to be careful if the reason is a vet visit, not all car hire mobs- even second hand ones- allow pets!). Of course the cost of car hire in each individual location is what the market will bear. We’ve paid up to $65/day in remoter locations, and down to $20/day in Fremantle (if you book for a week). We’ve never been fussy with the model (or the condition) – usually just the cheapest we can find. Most have been small but occasionally we get a mid-sized car that can fit in a lot of shopping! If there’s a Whitworths (the ‘Bunnings’ of chandleries) in town, it is usually visited as part of an expected pilgrimage. However, we like to support the little guy as well. I can’t actually remember all the chandleries we’ve visited, as we will pop into one if we are passing it as a matter of course – but a few are listed below. (note: affected by wave movement from fast ferries). Port Lincoln, SA. Officially I think visitors are supposed to contact the Sarin Group. The notice on the marina gates of the marina facility closest to the entrance asks you to call 8621 4443 or 0429 885 265. However, others have had trouble with responses from this group. We were contacted via the web via a local and got local knowledge to come in. The locals are friendly! Where are you at the moment? Must be the shortest post ever. 😉 Hope you’re a bit warmer wherever you are. Snowing on Donna today. Freezing!